Spring the season you’re forever debating on a coat or a cami. It’s the one that gets us every year when we are stuck between what’s acceptable for the weather or what’s acceptable for the month. Recently I’ve had a few things stuck constantly on my wish list which are appropriate for the Spring weather but also I could carry on into Summer, debating the footwear I’d even say for all four season. So I’m making up the excuse that everything here is a staple and it is a must have, lol. I’ve got some all year round staples mostly Spring (for me Spring sorry about the ‘all black everythang’) but a few mulitwear items too. 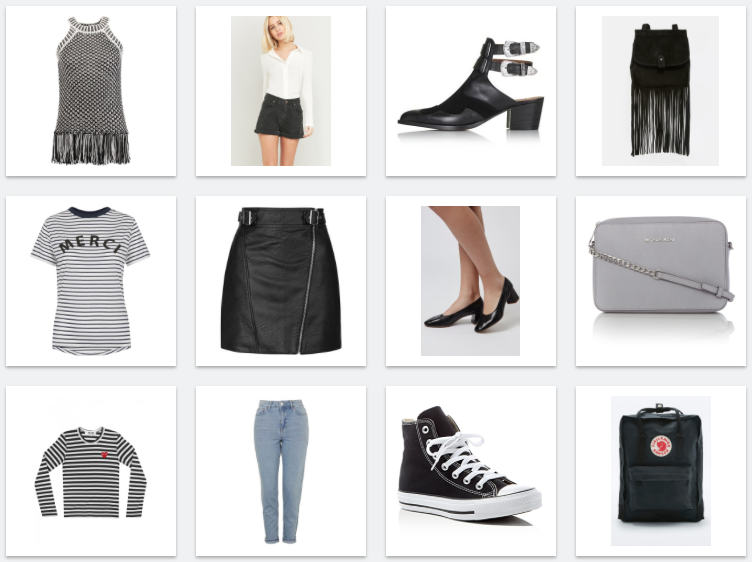 Also some outfit inspiration and a bit of a mix and match equation…enjoy being persuaded to shop!